Everyday I hear about BB creams and I see the beautiful images in the glossy magazines and they look great. I like to think I am pretty up to date with the latest in cosmetics but I was still a little confused by these mystery products that I feel arrived out of nowhere! If you're a BB Cream expert then skip to the end but if you're a little confused then read on! BB stands for Blemish Balm, they became popular in the Asian market for women who had undergone laser treatment or surgery and wanted to still use cosmetics on their skin that were gentle but still gave coverage. Due to the heavy Asian celebrity endorsement the western market picked up on these products and all the major brands now seem to have a line in BB's. In a nutshell they are a moisturiser, primer, foundation and sunblock in one product. Perfect for those on the go or people who don't really want tons of products in their make up bag. Really similar to the good old tinted moisturiser but with a little more staying power due to the priming ingredients, a higher SPF and lots of lovely skin boosting ingredients slung in for good measure! I have had a little look into some of the best ones available. Wow that's a tongue twister! 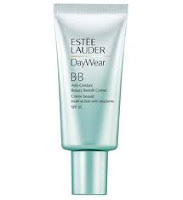 This BB is very lightweight and sheer with a subtle tint that will even you out but not provide too much coverage. It comes in one shade and think of it as more of a tinted primer that smooths the skin naturally. Good as a base to then layer on blusher, bronzer or powder. Not great for people who require coverage but perfect for those who like to look like they are not wearing make-up. This BB gives a fresh radiant finish to a dulling skin. Again a sheer coverage that gives a more luminous finish, therefore more suitable for dry skin. Contains a lower SPF at factor 15. Available in two shades and due to the optical blurring ingredients this would be good for those whose concerns are fine lines. 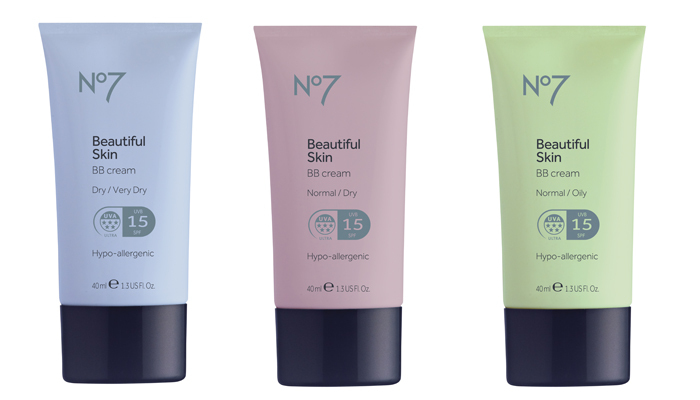 No7 have excelled in their range of BB creams as they have brought one out for all skin types dry, normal and oily. 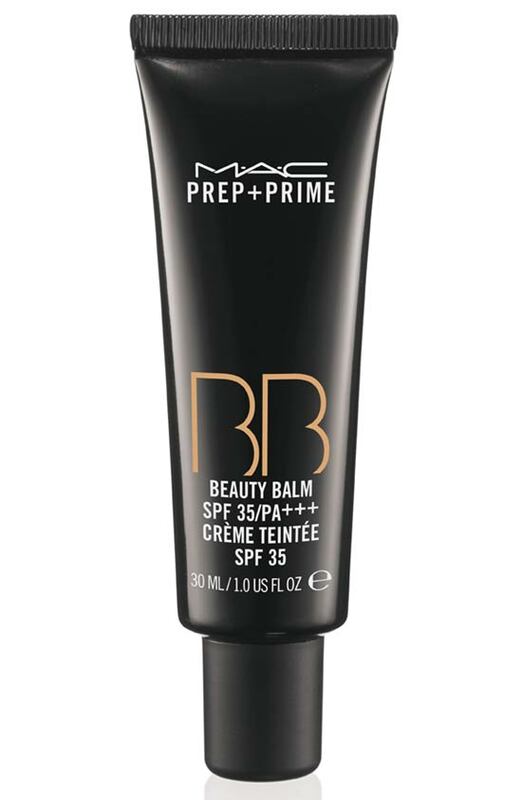 Containing SPF15 this BB gives a light/medium coverage whilst still having the luminous finish we all crave. I have oily skin and I found all though initially creamy the product dried and left my skin feeling matte. A great product for people who require the coverage but also have a certain skin type that they wish to correct. This BB is perfect for an older or more sensitive skin. The high SPF gives great environment protection and its packed full of skin soothing ingredients that tone down redness. Medium coverage, available in three shades with a demi-matte finish. Great for slightly oily skin due to the oil controlling properties. High in SPF and anti-oxidant ingredients this medium coverage is lovely on uneven skin tones to even it out and tone down redness. It has a surprising amount of coverage and hydration for dry skin and oil balancing ingredients for oily skin. Available in two colours that melt into the skin with ease. If you want a great BB Cream check out Skin79 or Lioele. Those two brands are the best. I tried Garnier BB cream and I really like it! I recently bought the Garnier one and it is mostly a moisturizer. It has no coverage at all compared to the one i have from Nivea that is a tinted moisturizer. I was very disappointed because i thought it would have a bit more coverage, not like a full on foundation but still smth more. Plus the 3rd ingredient on the package is denatured alcohol and for me that's a no-no. I tried the Garnier BB cream and the lightest shade made me look like I was wearing fake tanner in bright orange. I've tried several other products with similar results. I wish more makeup companies would realize that just because a product is meant to be sheer, that doesn't mean it magically looks natural on people whose skin tones don't match the very narrow shade range. I'm hoping to try Missha No. 13 bb cream next, as I've heard it's very pale. I have combined skin and this Estée L is a perfect choice for it. I have a Missha Perfect Cover too, which has a stronger coverage, but it's too much in springtime and nowadays it dries my face. EL gives me much more natural look. You could look into Skin79, Lioele, Missha, Dr. Jart, Etude House, and the FaceShop. (a few of the most popular brands). My personal favorite is Skin79 and their most popular are the vip pink (oily skin) and the vip gold (dry skin). They are mostly for NC20-25. I had no idea! Great post, thanks. Actually these BB creams, which we can find in drugstores are just BB creams wannabies. Real BB creams made in Asia (like skin79, missha) are full of great and nourishing ingredients, making out skin look younger and brighter but also they're helping us fight with imperfections. Thank you for this! I need to try the Boots. I have the Garnier and really love it, but it's a little dark unless I've been using my sunless tanner. Too Faced has one that's just fantastic, though, and comes in four shades, so it's easier to match skin tones. It's just a little on the expensive side. I agree with Aliss, "western" BB Creams don't hold a candle to the Korean ones, like Skin79, Lioele, Missha etc. I like the make up in the photo. Wonder what products did Sam used? I liked the make up in the photo. Wonder what products did Sam used? I agree that BB cream in Asia are better than the western ones. I've only tried Skin79, it started off looking quite ashy on the face, but once it's settled it looks okay, although I tend to use it as a primer before my foundation. However I'm considering trying other Korean brand once I finished my primers and moisturisers to see how the others feel on my dry and sensitive skin. I actually used MAC Face & Body foundation on the skin. Virgin Isle Cream Colour Base on the Cheeks and See Sheer mixed with Fresh Brew on the lips. I can't remember anything else other than a little lipgloss over the brows. Many thanks for the reply. Sorry I didn't realised you've replied my post until I browsed through it just now! Thought I would have got some sort of notification or something! I just wanted to share because we are two cultures separate by a common language! thank you so much! I was so lost in this BB thing!! Definitely giving it a try now that i know what is it all about!! I'm not Asian at all but I still love using it on my skin xD But I agree, the Korean brands such as Missha and skin79 are way better. Great reviews. I love your article on the skincare routine. Hi. Would you classify Olay Complete Touch of Foundation Moisturizer as a BB cream as it is a sunscreen, tint, and moisturizer in one? Any feedback on this product would be helpful too! Thanks! Aww you missed my favorite bb cream. It's a Korean one called Holika Holika Essential Petit BB Cream SPF 30 in Light Beige. I really do like how you compared the ones above. I'm curious about the Clinique one. I've wanted to try a BB cream for a while so thanks for summing it up, really helpful! If one truly wishes to experience the mystery of BB Creams, one did really have to look to the Asian brands, I feel. In my humble honest opinion, one really hasn't touched a BB Cream before if one hasn't tried an Asian one. The Western BB Creams are really just tinted moisturizers, no offense. This article totally missed out the part that BB Cream heals. That's the key idea and essence of Asian BB Creams, and Western brands just fail to get it. Do try Skin79 and Dr. Jart at the very least. By hook or by crook, get your hands on it, and you will think differently. There is still Liole, Missha and many more. Thanks a lot to those who read this. No offense. As an Asian, I just find this Asian product so hugely wronged by Western companies. I think you should also mention that BB cream isn't for darker skin, as it is used to achieve whiter skin, so I think all of them contain very notable amounts of arbutin to help whiten skin (my L'egere one contains 500mg of it, for example). I think BB cream are widely advertised in Asian. Most of korean beauty shop like faceshop, missha etc introduce BB cream widely. It can be wore by itself as light makeup foundation or a base coverage for those who have oily or dry skin. It moists skins throughout the day. It makes a lot of different using examples BB cream bought from Faceshop compared to Garnier. I was introduce to BB cream like 3 years back from korean cosmectics shop which is famous in my country called Faceshop. 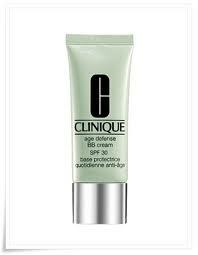 You should try the BB cream that they have in their stores. In comparison to the new introduce brands like Garnier, Clinique, MAC, you can feel the difference. As Asians are more fair to medium skin tone, the BB cream are design to one color tone. 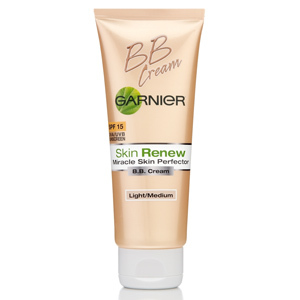 When i do see like Garnier coming out BB cream with 2 shades for BB cream, it do look like a tinted moisturiser. I agreed with jyoan - BB cream in Asian have been wronged by western companies. In Asian, it hits the market about 3 years ago. I have bought mine from Faceshop and using it as a base layer of foundation or you can just wear it on your skin. Personally, BB cream will lighten your blemishes. This is why it is called "blemish balm" cream.Even you are applying as a foundation use, it will cover prefectly. 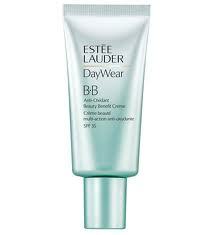 Asians country are usually hot most of the time which BB cream do help lock moisture on your skin throughout. If there is a chance do try Asian Bb cream like faceshop, missha brands etc comparing to garnier or clinique brands. I have tried and personally it do have difference. I like to use the original BB Cream which is Dr. Schrammek from Germany. The Dermatologist invented the product years ago to heal the skin and give some coverage after procederes like a laser therapy. Somehow the idea of a cream like this became popular in Asia and now the hype is approaching Europe. The Korean Brand BB Creams are way better than these brands to be honest. Try the Missha Perfect cover one if you want full coverage or the Tony Moly Nano Gold or Live Snail BB Cream. The skin benefits you get from these are so amazing! You should really take a look at the asian BB creams, the technology and formulation is way ahead of the western brands. In fact, I wouldn't even consider western BB creams as 'BB creams', more like heavier tinted moisturisers unfortunately. I hope people try out the asian BB creams, as the repuatation of BB creams has been completely demolished by western brands IMO. The only negative with the asian brands is the limited colour selection, otherwise they're amazing! I am using Garnier BB Cream which I bought it in Macau during my travel.. I'm a Filipina (Philippines) and most of us Filipinas are using BB Cream as makeup base, sunblock and foundation. I really like it because it has full coverage, can last for whole day and sometimes I don't need to use powder. I have used Maybelline but I still prefer Garnier. Unfortunately, there's no Garnier BB Cream in our country. Tried No.7. Don't really like it. Did not have the matte finish I expected, and it felt oily on my skin all day, even though it was the one for oily/normal skin. Also, was upset at the shade. The 'fair' shade was not fair in my opinion. Far from it. I'm not super light. I'm from a Irish background so it really did not look good. However, I think it could be better for the summer when I do have more colour. Won't give up on it just yet though. It does have the nice natural finish promised. I am use to mineral foundation, so maybe I'm just not use to cream products yet. On a lighter note, bought the Real Tech brushes to use with my BB cream and LOVE them. Excellent! Tried No. 7 and did not like it. It did not have the matte finish expected and actually felt very oily all day. Also, the shades seems rather dark. I am from an Irish background, and therefore went for 'fair' but it was still too dark. I was hoping it would blend in, but still felt rather orange on the way to work this morning. That being said, it did have a really nice natural finish (meaning it did not look like I had a load of makeup on), with good coverage. I won't give up on it yet though. I generally stick to mineral foundations, so I might need to get use to cream products. It's true that the Western BB Creams don't do justice to the Koreans. I find that the Aloe one (smells like aloe) from Skinfood is the best. It glides so smoothly on the skin and finishes with a very dewy look. It's awesome for a no make-up make-up look. 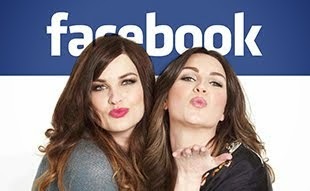 Given all the replies on Western BB creams and Korean ones, maybe it'd be good for the sisters at Pixiwoo to get their hands on some Korean brands for a comparison? Smashbox also sells a BB cream and I like it. Smashbox sells a BB cream that I really like. Wherever you travel to in Asia you dont need to worry for the cosmetics and shopping. Whether your going for flights to Thailand, visiting Malaysia, Indonesia or China your wives along can avail the opportunities of getting involved in the many shopping experiences Asia is home to. I use the Missha BB Cream for years and it is the product I know. Thanks for the recommendations. I love the traditional Korean bb cream and get hooked by them. 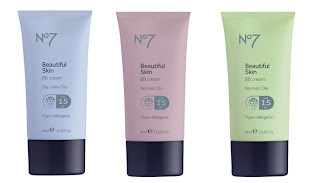 Few popular ones are the Skin79, Missha and Dr. Jart! Welcome to the era of the “Foundation Factor” and blemish balm “BB Boom”. So what is it about a recession that makes women reach for the slick of a lipstick or the squirt of a skin-brightening face product? Check the article Blemish balm boom and timeless allure of lipstick.